Animated Media started in the Queen West Neighbourhood of Toronto. We found that many online services for finding local information and events were broken, inefficient or not "local" enough. It was even worse on Mobile. We decided to take on this challenge and began developing the "Neighbourhoods Apps" starting with our own 'hood! After the Queen West App success, we partnered with the West Queen West BIA to launch the West Queen West App. The Kensington Market App then followed and new functionality that interconnected all the apps so that users could see what was in both their immediate neighourhood and the next nearest neighbourhoods. We have now launched this same idea in the Wellington County area. Wellington County includes many smaller towns (akin to T.O. neighbourhoods) bustling with events, activities and great places to eat, drink, shop and more. Participating businesses can use this logo to show their support. The Wellington App is the fourth of Animated Media's "Neighbourhoods" Apps offering local events, information & advertising. Geared towards locals, residents and tourists alike, the App will gather events, special offers and news from the businesses and groups in Wellington County into a central, easy-to-use app. 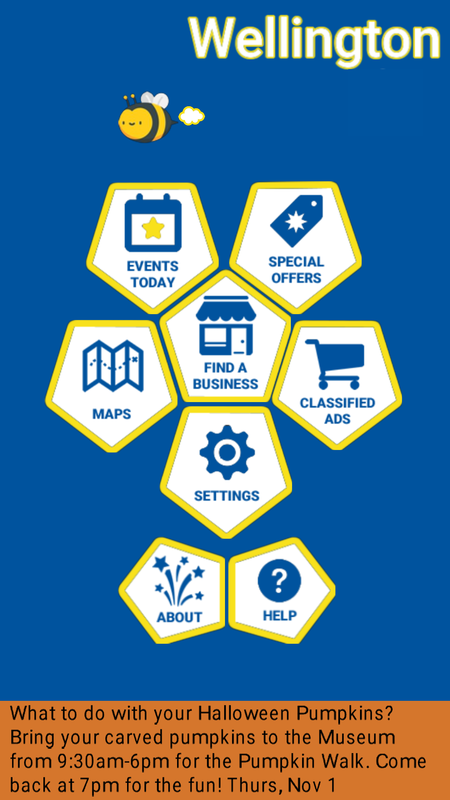 Ads are displayed in a slideshow on the Home Screen to remind people of our vibrant community, businesses and activities. If you are a local business, please contact us by email at sales@animatedmedia.ca to be included in the Business Directory listing and receive free advertising in the new app. 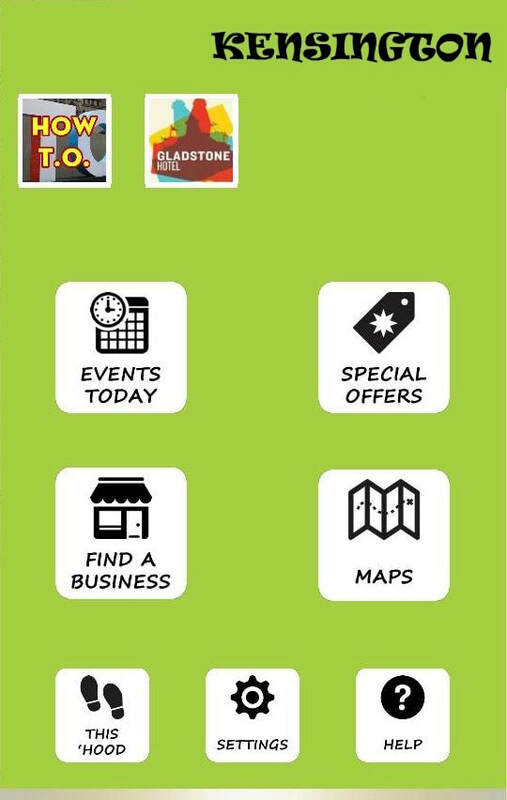 The Queen West App was the first in a series of our Neighbourhoods Apps that offered "hyperlocal" events, information & advertising. 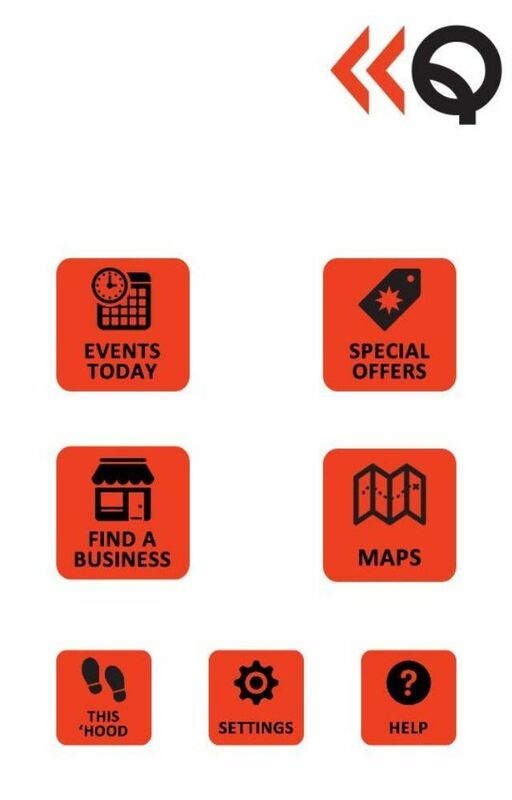 Geared towards locals, residents and tourists, the Apps gather relevant events and special offers from local businesses and groups into a central easy-to-use app. Ads are displayed in a slideshow to remind people of our vibrant community, businesses and activities. Partnering with the West Queen West BIA, Animated Media launched our second Neighbourhoods App. For more information about West Queen West, check out the BIA at westqueenwest.ca. Our third Neighbourhoods App. 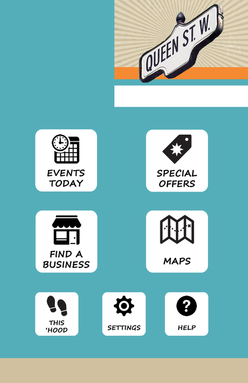 If you love Kensington Market ... especially on Pedestrian Sundays in the Summer, get this app to discover events and special offers now.